Are you ready to start thinking about Christmas gifts? 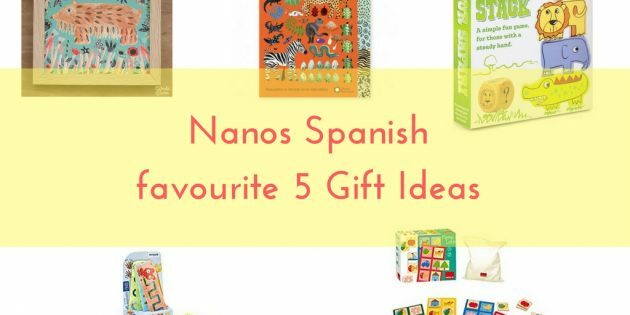 Here are 5 of Nanos Spanish favourite gift ideas. When choosing a good present for your child or other children, what is often our criteria? Is it innovative, different? Is it educational? Is it fun? Is it pretty? Useful? I have chosen 5 gift ideas that will cover at least one of the above criteria. I hope my list will be useful and bring the receiver a lot of joy. 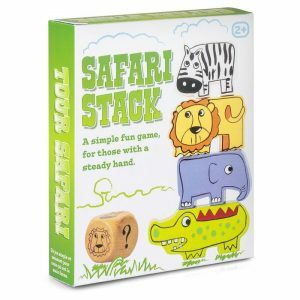 Safari stack from Double Flip it. This simple but fun game is a great way to introduce concepts of taking it in turns and game play. Take it in turn to roll the die and place the animal pieces on top of each other. The first one to get a stack of four different animal is the winner. 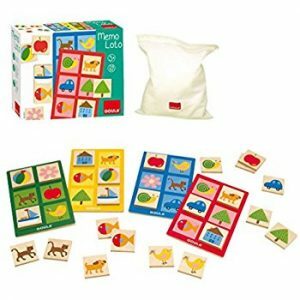 The game has Eight wooden animal pieces: Pair of lions, crocodiles, elephants and zebras. 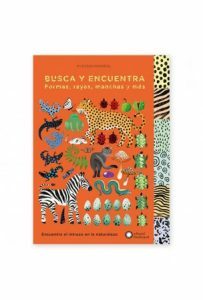 Just 4 animals that the children can learn in Spanish too! : cocodrilo, elefante, leon y zebra. As you can see the names are very similar in English too so great to encourage both languages. This beautiful book from Una luna books is such a visual joy. Learn to spot different patterns with this nature-inspired treasure hunt, which contains 70 first words to see and say. Turn the tabs of the chunky boards book to discover a world of stripes, spots and spirals, then try to spot the odd one out. Visual learning made fun. 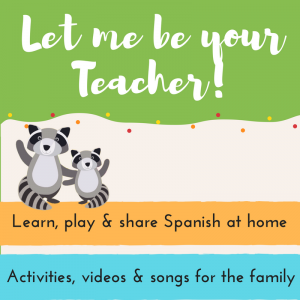 Use it bilingually to encourage both English and Spanish. 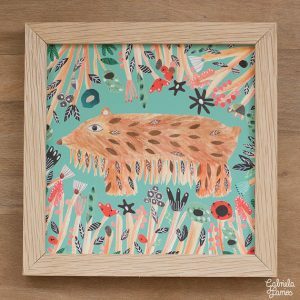 Hairy Bear is a limited edition Gicleé printed in England originally created at her home-based studio in London using collage and watercolours. Ideal for your children’s room or as a unique present for a special someone. 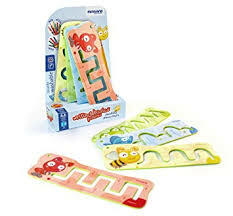 This beautiful wooden game is sure to be a hit with younger children. There are two games which can be played using the wooden tiles. Also excellent to encourage communication in one or two languages. Miniland pre- writing basic patterns set. Practice drawing lines in a fun way, helping to pick up habits for pre-writing, Patterns practice directionality and fine motor skills. Can be used on a range of surfaces with pencils, crayons, chalk, or finger paints. To find more blog posts visit us here! Many thanks for the ideas, some great ideas on encouraging new vocabulary in any language!